Obesity is caused by many complex factors, some of which are yet unknown. Researchers from the French National Centre for Scientific Research (CNRS), Inserm, Pierre and Marie Curie University (UPMC) and Paris Descartes University, in collaboration with clinician researchers from the Paris Public Hospitals (AP-HP), have just shown that severe obesity is accompanied by inflammation of the small intestine and a strengthening of the immune defences in that area. 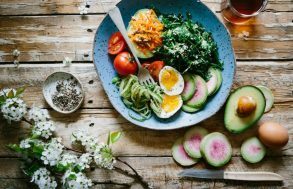 This phenomenon reduces enterocyte sensitivity to insulin and increases nutrient absorption, thus exacerbating the disease. This work, carried out at the Cordelier Research Centre (Inserm/UPMC/Paris Descartes University) and the Institute of Cardiometabolism and Nutrition (ICAN – Inserm/UPMC/AP-HP), is published on 18 June in the journal Cell Metabolism. Study of the mechanisms involved in human obesity is particularly interesting in the jejunum, a portion of the small intestine that plays a major role in the absorption of lipids and carbohydrates. Because of its location in the body, the jejunum is difficult to study, and its contribution to this metabolic disease was not well known. In this study, the researchers were able to obtain jejunum samples from patients during a surgical operation performed to reduce their obesity and associated diseases (gastric bypass). Samples from 185 individuals suffering from severe obesity were compared with jejunum samples from 33 non-obese individuals, who were operated on for other reasons. 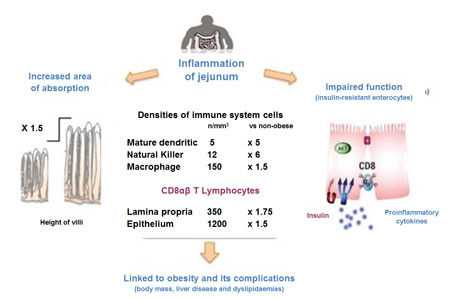 The research teams, coordinated by Edith Brot-Laroche and Karine Clément, observed a state of chronic inflammation in the small intestine in these obese individuals, and colonisation of the jejunal epithelium by T lymphocytes, at a density that increased with degree of obesity. These immune system cells produce cytokines that inhibit the insulin sensitivity of the absorbent cells of the intestinal epithelium. Since the action of insulin regulates nutrient absorption and blood sugar level, this immune system phenomenon thus contributes to the exacerbation of the patient’s clinical situation. Additional clinical studies also showed that, in obese people, the increased density of T lymphocytes in the intestine is probably related to complications associated with obesity such as liver disease (NASH) and dyslipidaemia. 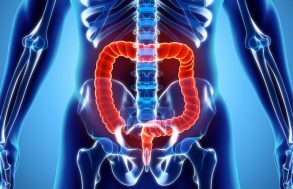 The results of this study have also shown that the projections of the intestinal mucosa in these patients, the villi, are longer than in non-obese subjects. This means that the small intestine’s surface area for exchange is increased by 250% (an increase in area equivalent to two tennis courts), and that the patients absorb more nutrients. This phenomenon, which is due to a reduction in apoptosis, a mechanism of cell death, also enhances the inflammatory action of the immune system in this region, exacerbating the disease. Although insulin resistance in the adipose, hepatic, pancreatic and muscle tissue had already been observed in obese people, these studies highlight the existence of similar mechanisms in the small intestine, and offer opportunities for noninvasive therapeutic interventions to help reduce the inflammatory state of the intestine and combat obesity. This project, which brought together two teams from IHU-ICAN, the teams led by Edith Brot-Laroche and Armelle Leturque at the Cordelier Research Centre and by Karine Clément at Pitié Salpêtrière Hospital, was supported by ANR-ALIA Nutra2sense, the MetaCardis European project, clinical research programes (AP-HP) and Investissements d’Avenir (ANR-IHU). Intestinal epithelial cells specialised in nutrient absorption. Molecules used in cellular communication. Dyslipidaemia is an abnormally high or low concentration of lipids (cholesterol, triglycerides, phospholipids or free fatty acids) in the bloodstream. Cell Metabolism, 18 june 2015.